When I started blogging, earlier this year, I didn't really set any goals for it so any achievement can be celebrated here at May contain traces of polish. This post is my 50th so I will give myself a pat on the back for keeping it up. Another pat on the back came from A Strangershouse last week who shared some blog loving by sending me a Blog Your Heart Out award. Thank you Sandra, this really means a lot to me! First I will share the information as "ruled" by this award, then I will share a manicure as a thank you to Sandra for thinking of me. Discovering water marbling on youtube got me hooked on nail art about a year ago. 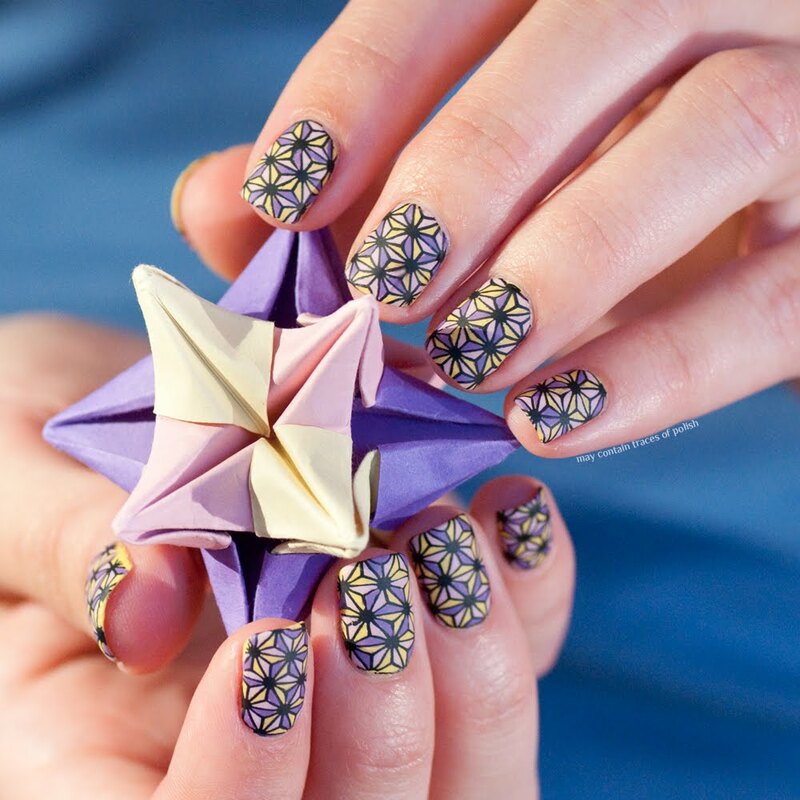 After having spent the better part of that autumn talking about nail art with people who had no interest in it I started to consider a blog as a means of ventilation. After debating with myself for some months I decided to give it a go. I knew from the start that I wanted to blog about nail art, rather than being a nail polish blog focused on swatching. Nail art is what I most enjoy doing and I also don't think I will ever be able to buy all the new collections that seem to go with having a swatch blog. This really depends if you ask people who know me at work/in real life or from my blog. People I meet every day probably don't know I have over 300 polishes :P. People that read my blog probably don't know much about me at all. I will share that my boyfriend, my sweetest S, lives 1500 km away from me which is a cause for constant head and heartache. Running around trying to do all those things I wish I had more time for! Read, watch films, eat cake, watch online lectures, travel, take photos, go shopping and what ever else is my current hang up. And now for the manicure. This is two coats of Orly Bubbly Bombshell, a gorgeous magenta glitter stamped with Bundle Monster BM-301 in Barry M Silver foil. This is Bubbly Bombshell by herself. A vivid magenta that wants to be seen! Polishes used: Orly Bubbly Bombshell and Barry M Foil Effect in Silver. Så himla fint! Bubbly Bombshell är ju verkligen fantastiskt!